The largest medical trade fair across the Americas, FIME will be held from August 8th through August 10th 2017 in Orange County Convention center, Florida, USA. 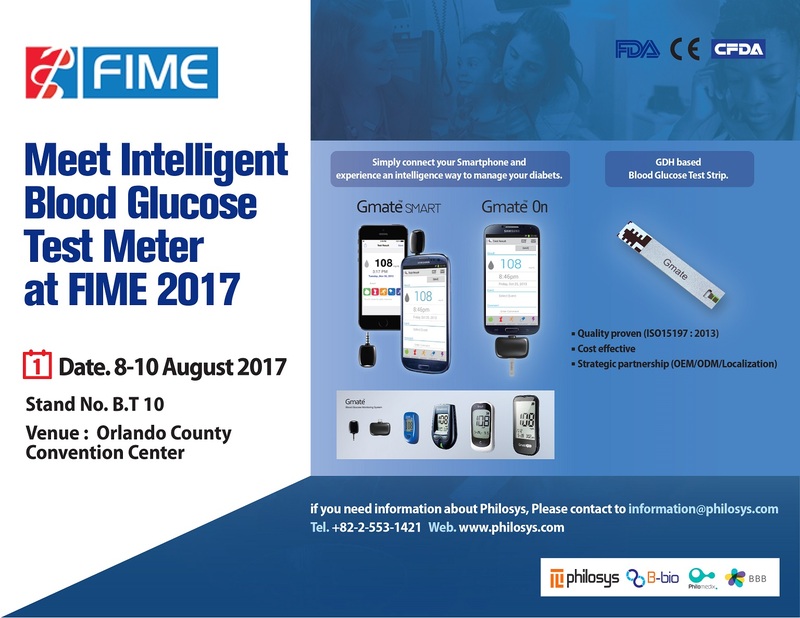 Philosys will be participating in FIME with the new blood glucose monitoring system, Gmate® series as well as new medical laboratory products at our booth. We invite you to experience diabetes management to a whole new level at FIME. 2. Venue: Stand No. B.T 10 at Orange County Convention center, Florida, USA.